Here is a card for a little boy. This time I made it with bright colors, green and yellow. 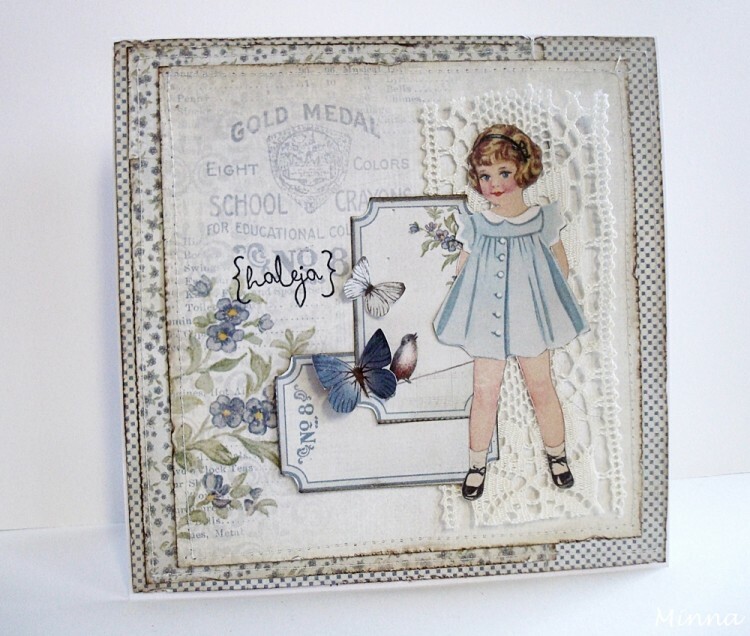 I have also added a few borders and butterflies from the same collection “Play Time”. A little piece of corrugated chipboard and colored gauze, my favourite embellishments. 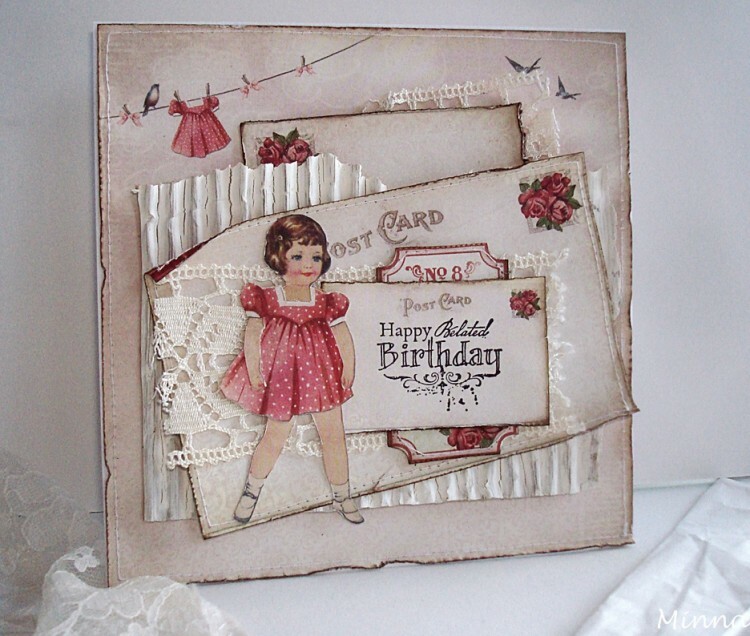 Here I want to share with you this birthday card for a little girl. I have used the beautiful pink papers from Play Time collection. The girl is cut from the “girls” paper and I have dressed her with the red dress from the paper “clothes”. 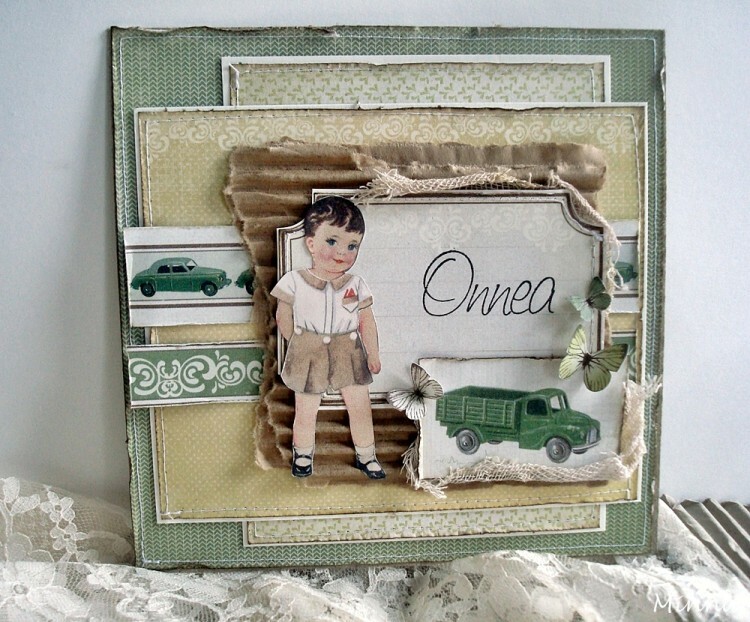 A little bit of colored corrugated chipboard and lace. One more card for a girl using papers from the “Play Time” collection. This time I wanted to make a blue card. The text is in Finnish and means “hugs”.